YOU NEED WES/EKO WORKING FOR YOU! WES/EKO is a locally owned family run business based in Oshkosh and Elkhart Lake, WI. WES/EKO is fully insured! Imagine the responsibility you will incur if there were an accident. WES/EKO knows your kitchen. We are educated and experienced in all aspects of a commercial kitchen. Our staff is experienced in cooking/frying, kitchen management, appliance repair, etc. WES/EKO is always working. Our crews work around YOUR schedule. The amount of oil needing to be purchased. Owners and managers personal time. Chemicals, cleaning agents and water. We are on-site mobile cooking oil filtration (to 1 micron) company designed to increase the life of your cooking oil and also a use vacuum based Deep Fryer Cleaning Service on a regular scheduled basis, freeing up your staff, reducing cost and improving productivity in your kitchen at a reasonable price. Filtering your oil with WES/EKO will lead to better tasting food and longer lasting oil. Less overall oil usage = money saved! Give us a call, send an email or text us to arrange a quick demo. No hard sell here! We can start filtering your cooking oil immediately following a personal meeting with owners and general managers with no contract or hidden fees. 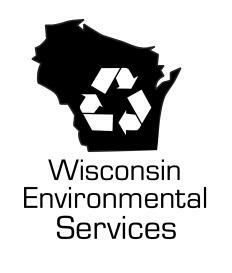 Wisconsin Environmental Services is now offering Commercial Appliance Repair Services ! We started slow this past summer as many of our customers know we do things right around here for a fair price. Give us a call today try us out, you will be satisfied. Experience is key and we have it!